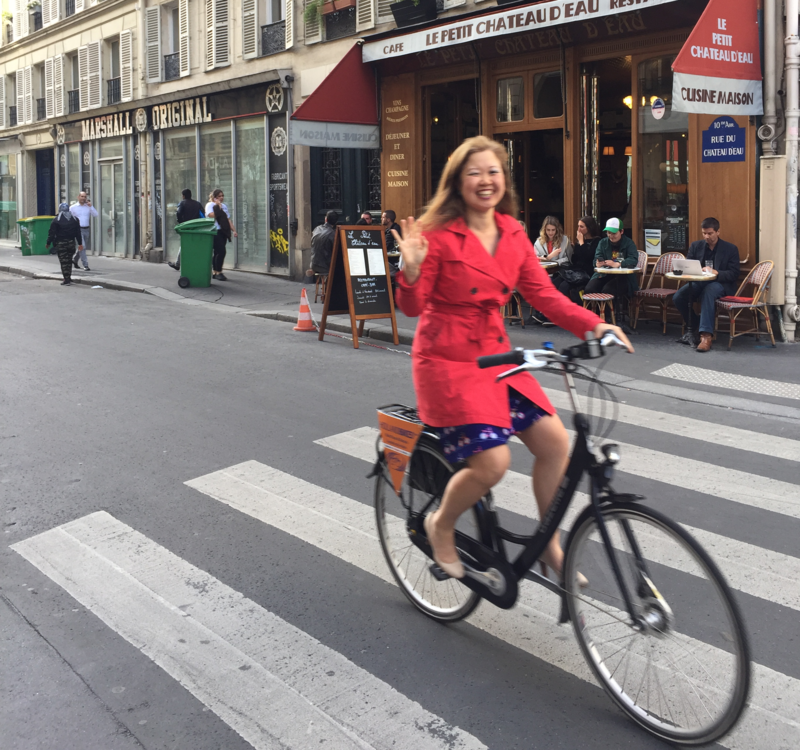 The Bicycle Mayor of Sydney, Sarah Imm, experienced first hand what it is like to ride like the Dutch on her recent Euro trip. With Paris, Amsterdam and London on her list of cities to visit, she could use an easy and convenient way to get around. 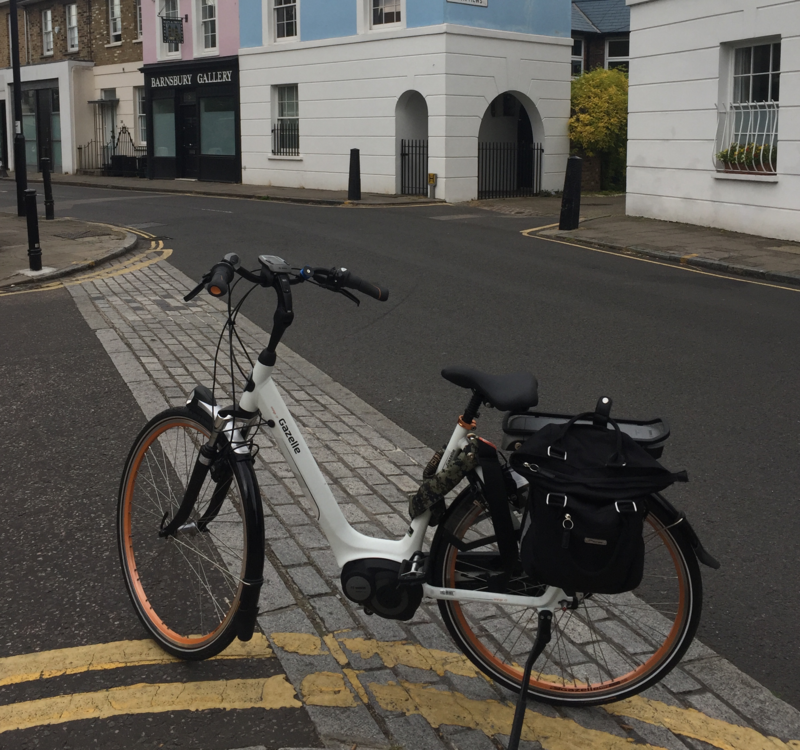 So Gazelle decided to help her out with an e-bike during her time overseas. 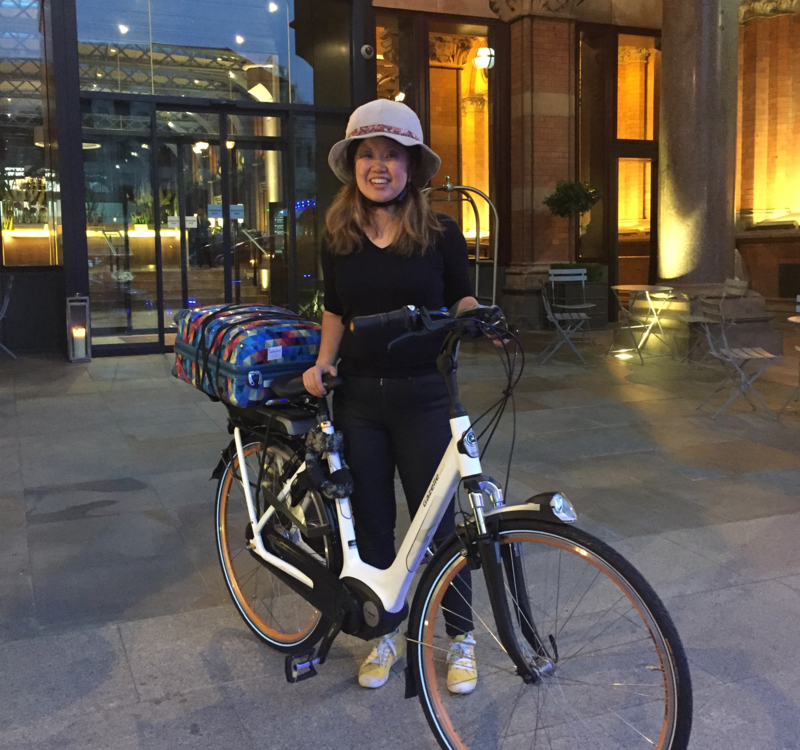 Sarah, also known from her popular blog Velo-a-porter, is no stranger to stylish riding in a comfortable upright position. So she fitted right in with the Parisiens riding along the Seine or on the Champs-Élyées on her Orange C7 HMB. A bit different in comparison to Surry Hills. "I was shocked how reasonable and respectful everyone was on the road in Paris. They gave me space, they gave me respect. But no way that I was going on the roundabout at the Arc de Triomphe, that was a bit too hectic!" 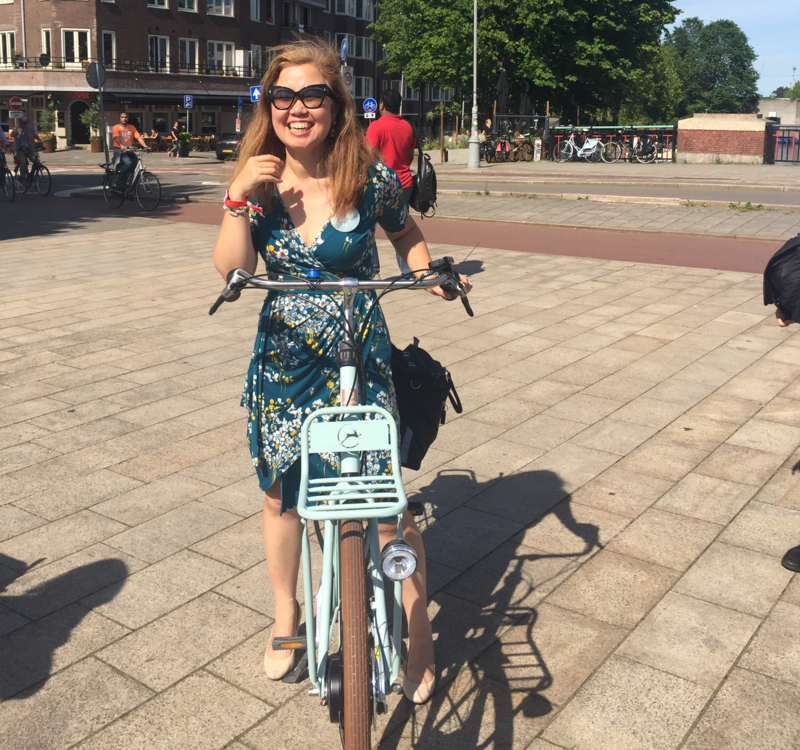 After a few days in France, it was time to visit the Netherlands for the global Velo-City summit in Nijmegen and the Bicycle Mayor conference in Amsterdam. With the summit being close to the Gazelle factory in Dieren, Sarah didn't miss out on the opportunity to have a tour inside. "I could have spent the whole day in the factory. It is so impressive to see how the bicycles are made. The way the spokes are being placed in the wheels; it really is a craft." Another typical Dutch craft was needed to help Sarah with her luggage and her borrowed bike back to her hotel. Time for a lesson how to ride like the Dutch. Just strap the suitcase on the back and off you go on your Puur NL C7+! "My suitcase probably weighed around 20 kilo, but we just put it on the back of the back. And it really did well, I was so impressed how easy it handled with that kind of weight. That Puur NL was awesome, unlike what we have ever seen in Australia." After a few days in Netherlands it was time for Sarah to start riding on the left side of the road again, in London. A white Orange C7 awaited her. Again, the bike turned out to be the best way to move around in a metropole. "I was lucky enough to ride around on a new white Orange C7. 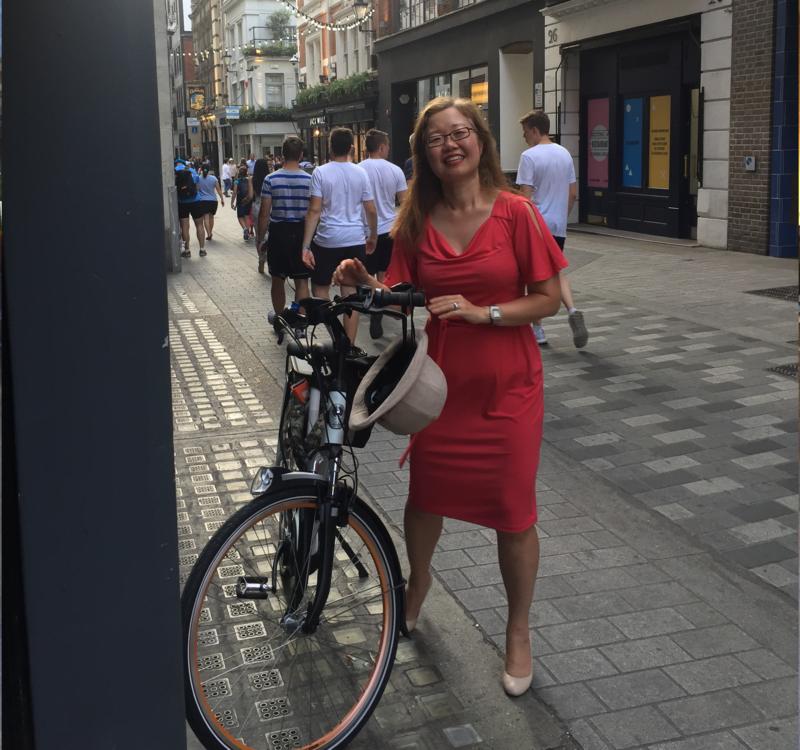 And a lot of cyclists in London were riding so aggressive and fast, but there was no dropping me on my e-bike! After a couple of days I managed to find my ways around through the more quiet streets like I do in Sydney. 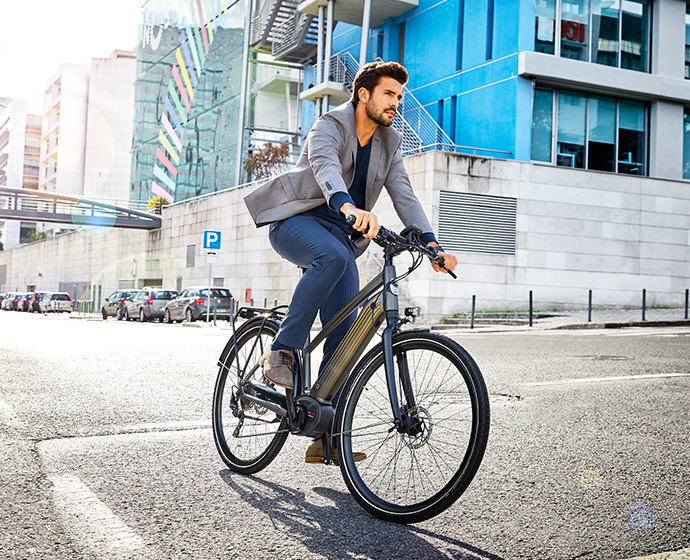 And when people would do that, it makes the whole cycling experience even better." "Overall, it was really great to see the contrasts in each city and how it compared to home. The respect in Paris, how busy London was, and how relaxed people were in the Netherlands. The infrastructure just makes it all so easy. Even when I accidentally rode on the wrong side of the road in Nijmegen, people would just make space . Nobody shouted at me like they would in Australia." "It really is something to take back to Australia. 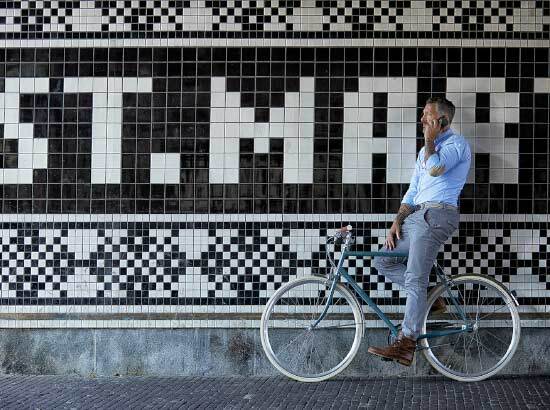 As a community we can make it work and change the culture so people understand the bicycle is a viable form of transport. Because it increases the value of life in cities."